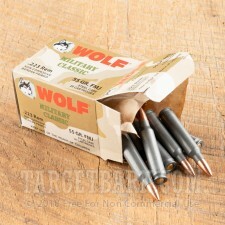 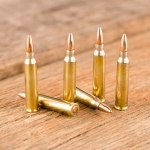 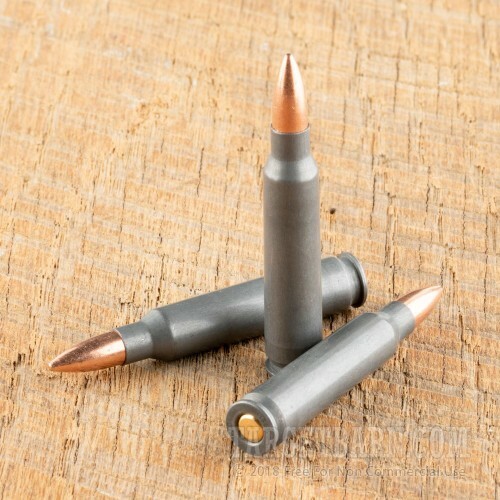 Wolf ammunition in .223 Remington sees extensive use with owners of AR-15s and other .223/5.56 NATO rifles due to its low cost and dependable performance. Grab a few of these 20-round boxes for your next range trip! 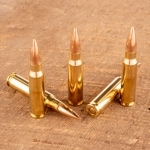 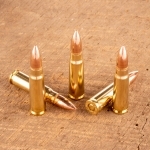 Each cartridge fires a 55-grain full metal jacket bullet at 3,130 feet per second. 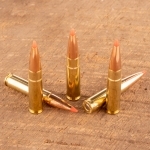 This produces ballistics somewhat comparable to those of M193 ball ammo, though some minor optical adjustments may be necessary at extended range. 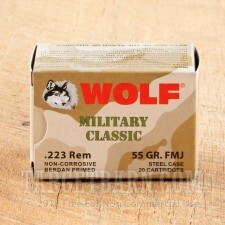 This ammo is made in Russia using non-corrosive primers and non-reloadable steel cases. Though not reloadable, the cases have lacquer coatings that enhance their shelf-life by resisting moisture damage and rust.